Hatsune Miku: Project Diva F comes out for the PlayStation 3 in America on August 27th, today. It’s a rhythm game for the PlayStation 3 starring Hatsune Miku, “The world’s most popular digital singer,” and some of her most popular songs. I could not fathom this game ever seeing release in America, going so far as to ask, in mock seriousness, the brand manager at Sega of Hatsune Miku if “he was crazy.” I could certainly see a digital-only release, as is what is happening in Europe, but a disc? I bring forth such awe because Hatsune Miku is about as foreign as it gets these days, and with Japanese games not nearly as prevalent as they have been in previous years, I didn’t think Project Diva F would hop the Pacific. Hatsune Miku is a totally Japanese creation, and her popularity there is undeniable: She is the most recognizable Vocaloid. Like the title of the article, you’re probably now asking “What’s a Vocaloid?” Well, to be brief, the Yamaha Corporation created a voice synthesis platform simply called VOCALOID. Other companies released their own voice packs, such as Zero-G, and Crypton Fusion Media. The former company released two products called Leon and Lola, and Crypton released Meiko and Kaito. 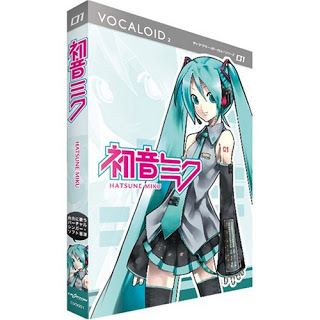 They didn’t really set the world on fire, but when Yamaha released the revised Vocaloid2 platform, Crypton Fusion Media released Hatsune Miku (roughly translated, “Sound of the future”) which was dubbed as the first in a line of products called the “Character Vocals” series. They believed that in order to appeal to a wider audience, they needed a character to go with the voice. The character was appealing enough that 3,000 copies of the software were sold in under 2 weeks, which was a ridiculously high number for that genre of software. Not only was the character design attractive, but the voice, taken from samples of voice actress Saki Fujita, was appealing. Rather than try other strategies of recording a singing voice, Crypton used voice samples of a talking voice, and relied on the software’s pitch correction to reach the desired product. It’s called “Ievan Polkka”. It’s based on a Finnish song from the 1930’s, and the video now has more than 9 million hits on YouTube. I’m unable to determine how many views it has on the popular Japanese sharing site Nico Nico Douga, but it’s likely at that level or more. She’s holding an onion leek in the video because this is based on another music video which went viral in Japan, in which Orihime from Bleach is holding an onion leek. The video was done to this same song. But this took off, and started a spirit of creation and collaboration among content creators using Hatsune Miku. Like I said before, Project Diva F is available now.